An imposing man (Christopher Lee) marches down a country lane, and is struck down by a driver, distracted by his radio playing up. He's taken to the hosiptal and pronounced dead on arrival by Dr Betty James (Patricia English). She tells the driver, Whittle (Christopher Benjamin), and the nurse (Karen Ford) is calling the morgue when the corpse gets up and leaves. 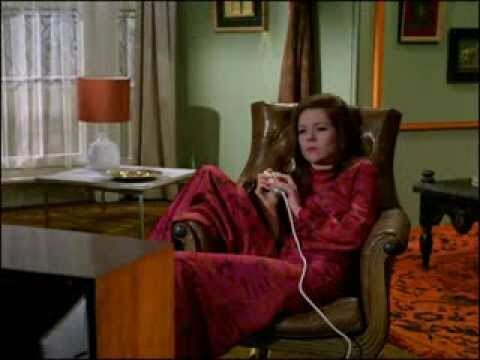 Mrs Peel is watching a rerun of The Cybernauts when Steed interrupts the broadcast, saying "Mrs Peel, we're needed". They visit the hospital where Dr James confirms the man was dead. Whittle takes his leave, happy that the man's up and about again, but unfortunately promptly runs him down again. He rushes back to the ward, shouting "I've killed him, I've killed him again!" An ambulance arrives, it's not Dr James' but contains a group of white-coated men led by Dr Penrose (Jeremy Young). they lock the man in the back and take off, seconds before the hospital ambulance arrives. Emma finds a piece of paper marked 'MOT-NRU' and goes to London to investigate while Steed remains in the village. The 'dead' man goes on a rampage after escaping from the ambulance, smashing radios and attacking their owners - a young picnicker (David Gregory), an elderly gent playing with a radio-controlled boat (Arnold Ridley) and a sergeant and private on manœveurs (John Junkin and Peter Dennis). The sergeant tells Steed he emptied an entire magazine into the man's chest without affect, and he had gone into the forest. Steed heads for the forest at the same time as the mysterious ablunace leaves the Ministry of Technology - Neoterric Research Unit (MOT-NRU!) and they converge on a cottage in the woods. 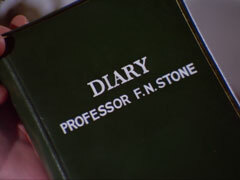 Steed arrives first and finds a note in the diary of a Professor Frank N. Stone, regarding radio interference from George Eccles of Aerial Cottage. 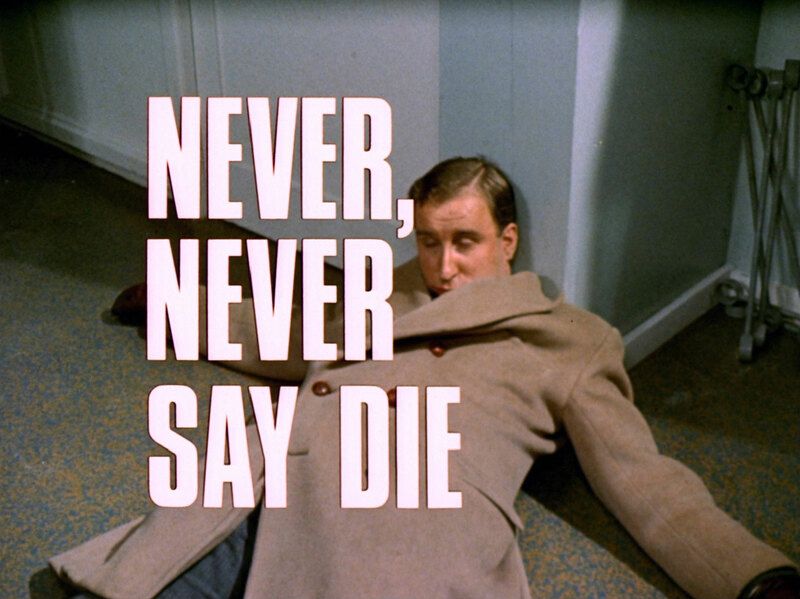 He's attacked by the 'dead' man and saved from certain death by the arrival of the scientists; he slips away as they truss him up and follows the ambulance to the research unit, where Penrose stops Selby (Alan Chuntz)from entering the experimental section, saying Professor Stone will look after things. Steed tells Emma the NRU is a mile away, and Dr James chips in that it's a research facility run by Professor Stone. 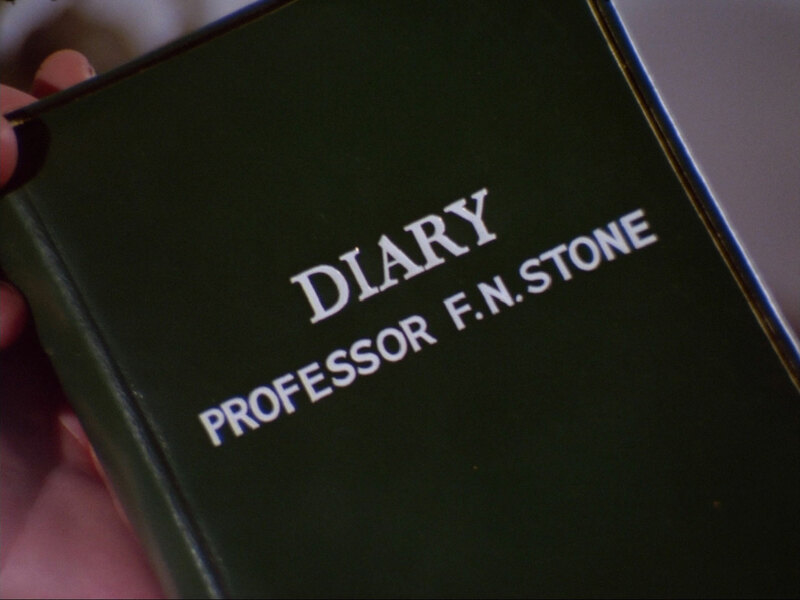 Steed gives the diary note to Emma to investigate while he visits the NRU, where he's brought to Penrose by Carter (Geoffrey Reed). They discuss the unit, Penrose refusing to discuss his research with Steed when the Professor walks in - he's the man who's been causing all the trouble! Emma visits Eccles (David Kernan), a harmless shortwave radio enthusiast, who tells her Stone had complained about him using high frequencies - they tune in to see what's there and the professor immediately suffers a migraine. Penrose terminates the interview with Steed, rushing the professor out to the experimental section. Steed notices the radio equipment in the office registering activity, and a sign forbidding transistor radios outside. Penrose and Stone discuss their problems with radio interference, and Stone suggests the answer may lie in their earlier papers, which Emma has just unearthed at the cottage. She rings the hospital, looking for Steed but Dr James is cut off when some NRU staff turn up - with her duplicate! Penrose appears at the cottage and holds Emma at gun point, taking the plans and locking her in the NRU experimental section's cage. 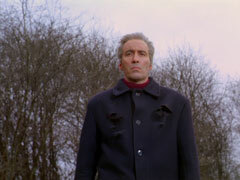 In the cage, Emma notices Stone's duplicate has stubble on his chin, and Penrose and Dr James are also the real thing. 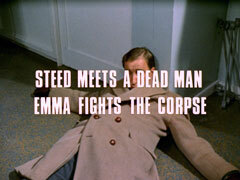 Steed meanwhile arrives at the hospital looking for Mrs Peel and is told she returned to towm. He sees a smashed radio and locks James' duplicate in a cupboard before rushing over to the NRU, where he confronts Stone about Dr James. Stone tells him Penrose models the faces and Steed deduces Penrose has been replaced by his duplicate. 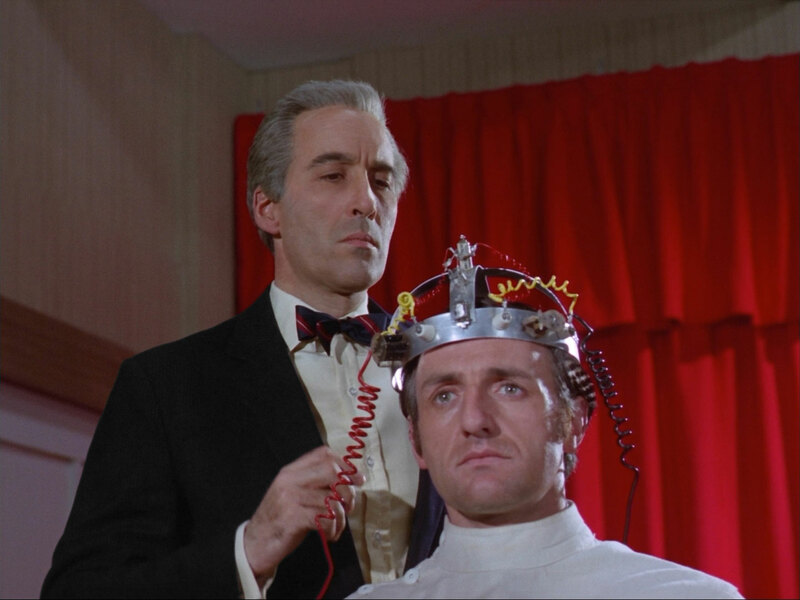 Stone calls Penrose in, strapping him to the brain transfuser, and drains his memory and they go to release Mrs Peel - but Penrose isn't fully drained, and manages to reverse the process. 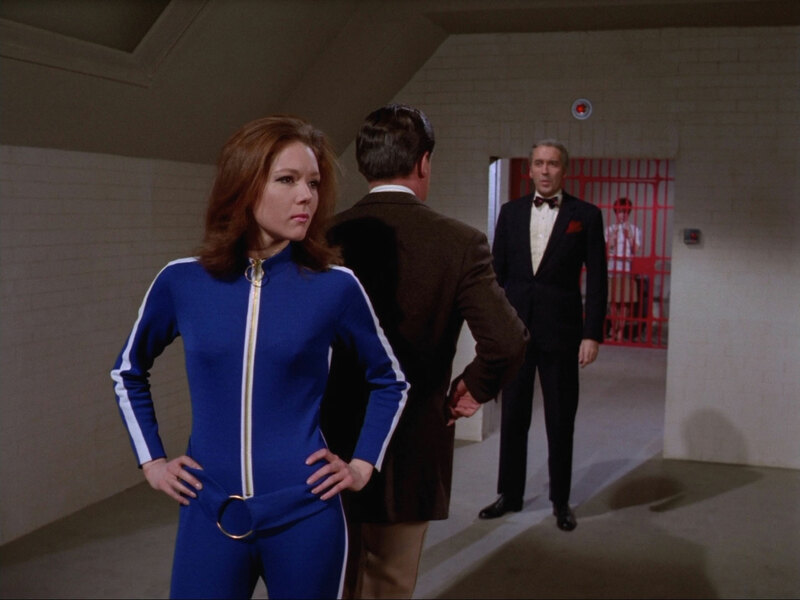 Stone lets Emma and Dr James out of the cell when Mrs Peel reveals that Stone is a duplicate as well, and they make a break for the door. 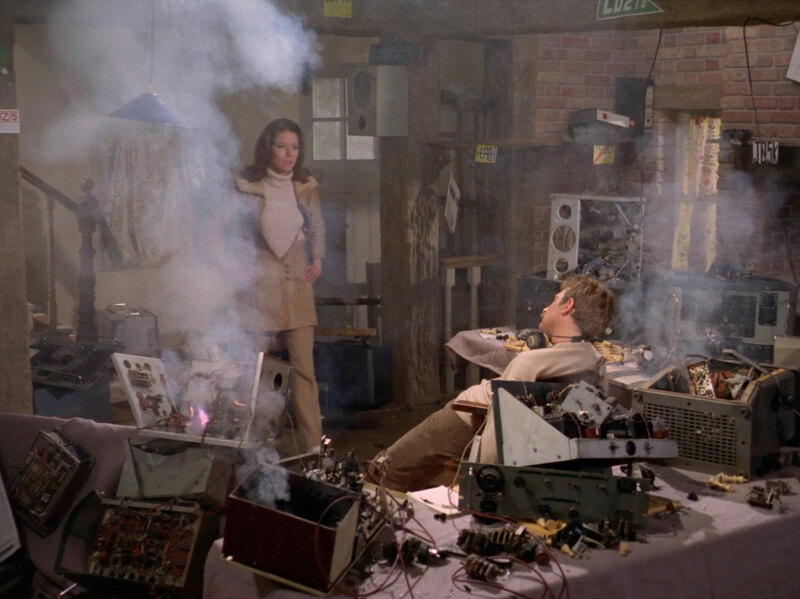 Penrose traps them and Steed whips out a small radio to jam the duplicates' circuits but drops it when they attack. Dr James finally manages to reach it and tune it in, stopping the robots in their tracks. A door opens, revealing a duplicate Emma and Steed, which they appraise. "Do you find her attractive?" "Not a patch on you; how about him?" 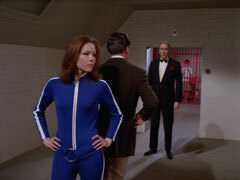 - Mrs Peel removes the duplicate's bowler and reveals the word 'REJECT' written across its forehead. 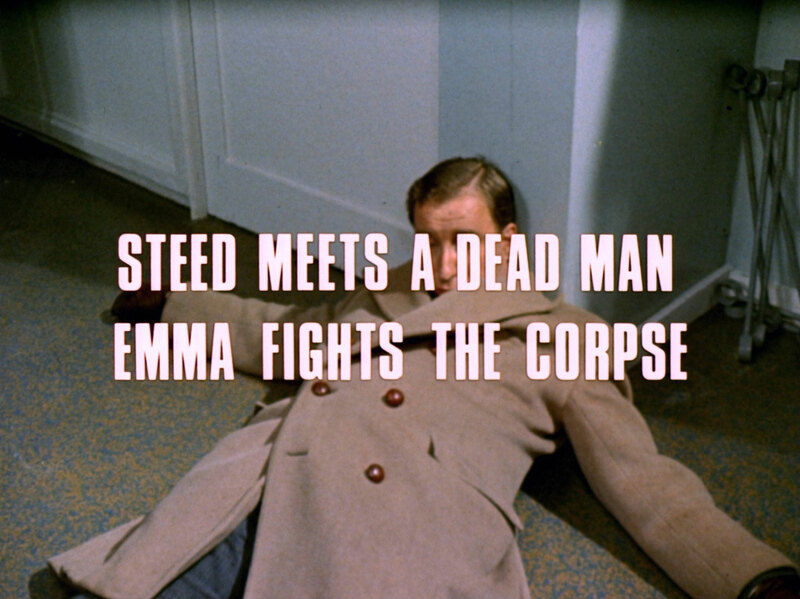 At her flat that night, Steed and Emma watch TV - a pop programme, a cop show. 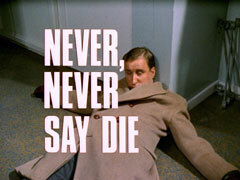 Steed turns off in disgust, lamenting the lack of anything of any depth, warmth, humanity - with a touch of humour. Emma switches on a political broadcast and they realise with horror that no-one would ever notice the difference between a politician and a plastic duplicate.